Bulawayo24 News managed to do an interview with D2X - in the interview he is telling us about his new single Batai Munhu which has garnered a mixed reception in the Zimbabwe Music Industry. He also tells us about his musical journey. We spent some time with him at his studio in Johannesburg. Below is the Interview. D2X is a South African based Zimbabwean artist and music producer who was born in Hwange but spent part of his childhood in Victoria Falls; he is a unique artist currently signed with Hard-Time Productions who has a passion for producing his own music with a creative and innovative flair. Q. Tell us more about your music, what actually made you take music seriously? A. Um... My music is a blend of Afro House and Tribal House. Music makes me happy, and to be able to make my own that others can relate to enjoy is something I want. Simply for the love of it. Q. What makes you stand out from other upcoming artists? A. First and foremost I put the Lord first in all things I do, secondly, I easily adapt to any style or genre, and thirdly, I have learnt to make music that fans appreciate. In addition, working together with other Hard-Time Productions artists has proven that among us one person's weakness is the other's strength, which is one of the reasons Hard-Time Productions has been successful. We strongly believe team work leads to success. Q. 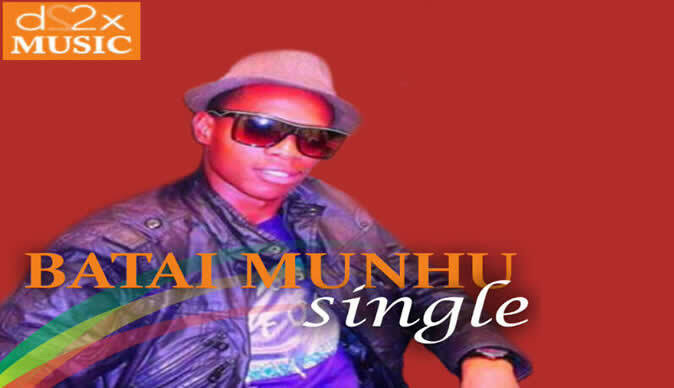 Tell us about your new single "Batai Munhu"
A. Dj Master and I were just chilling in the studio skipping through instrumentals with no intentions of making a track, shortly, the Batai Munhu instrumental played and my attention was hooked to it in an instant, slowly started rocking to it. Batai Munhu is an anti-corruption song; it is one of those songs that clasp your attention at first listening to its lyrical message before you mind about its beat. I believe through music, we can fight corruption. Q. Which African artists would you love to collaborate with? A. I'd like to work with anyone willing to get into contact with me and make some good music that also relate to our everyday people, also with Wizikid of Nigeria , Uhuru and Black Coffee and possibly the legendary Oliver Mtukudzi. Q. What do you think about the current state of House Music in South Africa? A. The current state of House is flipping awesome, it evolves all the time and a lot of dope music is being released. Q. What is ultimate goal in your music career? A. To be able to touch as many people through out the entire world. A. The Lord God Almighty for giving me the brains to do it and simply for the love for music, for the fun atmosphere that's around when making it. Q What are some of the challenges you come across as an artist? A. Trying to make it in the music industry is one of the biggest challenges. Q. What do you think can be done to overcome those challenges? A. The best way of overcoming this challenge is grinding till you get noticed. Q. What has been the biggest highlight of your career so far? A. Releasing my latest single "Batai Munhu" and making more than five headlines on different papers in less than three weeks. Q. Which career would you have pursued apart from music? A. I've always wanted to be in the music and film industry. A. It's going to carry a total of twelve tracks and I'm expecting to feature different artists from South Africa, Nigeria and other countries around. It's definitely going to accommodate every house fan out there. It's a must have package. Q. Any big upcoming events you are planning at the moment? A. Launching my album nationwide in September and shooting my first music video right here in Johannesburg. I'm also working on a TV Show called "Back to the Street" in association with Billz Productions aimed at inspiring upcoming artists. Q. Who do you look upto for inspiration? Q. Where can people download your free promo tracks?